A non-slip solution for stairs. Stairs and steps in and around your building need to be safe. 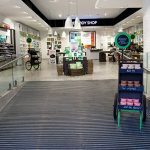 The Birrus Stair Nosings range ensured the you will meet safety requirements with a durable system that reduces slip and trip hazards as well as prolonging the life of stair coverings. 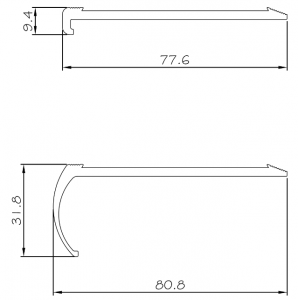 Slimline and bullnose designs are compliant with AS 1228.1-2009. Both have been slip tested to AS 4586:2013 standard and have achieved the highest P5 rating. 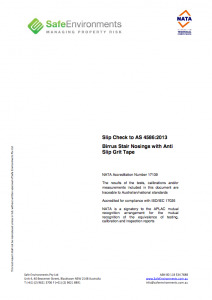 Grit tapes have a 30% luminance contrast to the background and have been luminance tested to AS 1428.1-2009 standard. 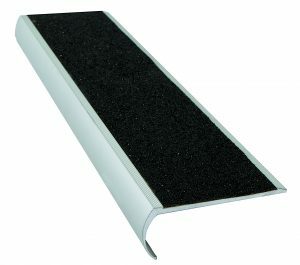 An Australian-made 6000-series Aluminium alloy is paired with high quality grit tape inserts to provide traction to reduce the risk of slipping. The grit tape is manufactured using embedded-grit technology, to adhere a tough 60-grit aluminium oxide formation to the insert. 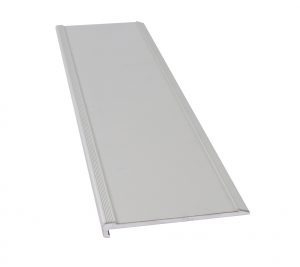 Bullnose and Slimline Stair Nosings are available to suit different step design requirements. 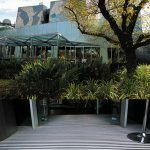 Stair Nosings are Anodised with a 15-micron clear coating to protect the integrity and visual appeal of the metal. 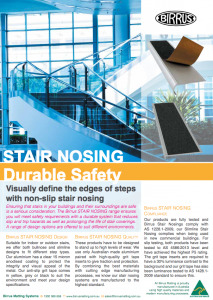 Birrus Stair Nosings can be installed on internal or external steps, to be used in your building and around its grounds. 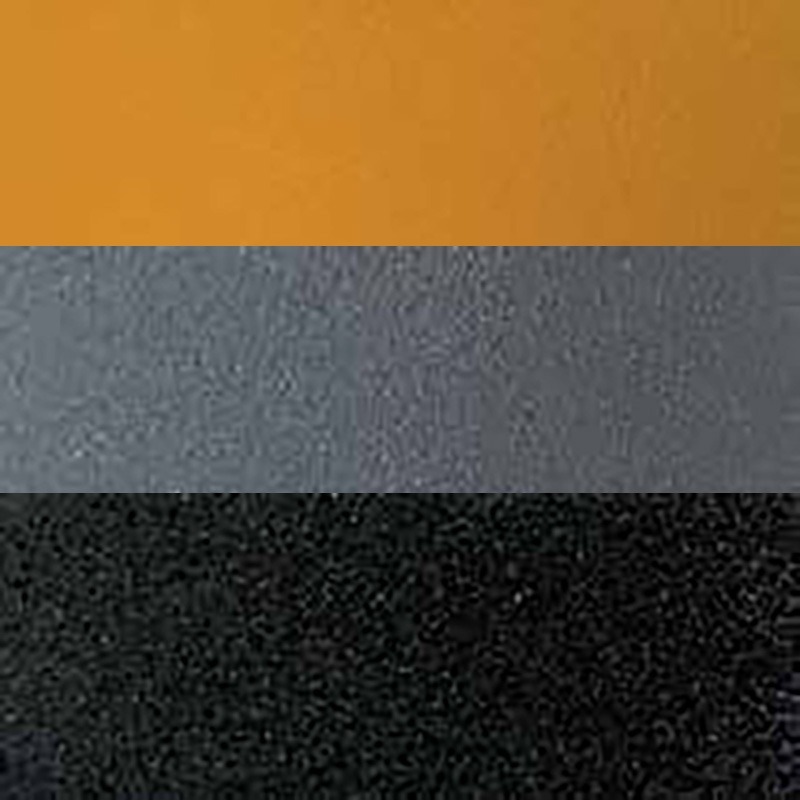 We offer flexible design with three colour options for the grit tape to suit your environment (yellow, grey or black). To visually define the edges of steps and add grip to enhance safety. AS 1428.1-2009 Appendix B, Paragraph B3 Standard. 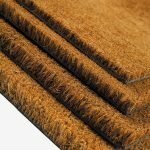 Ensure steps are clean, grit, dirt, debris is removed. Either apply thin bead of polyurethane to the stair or use mechanical fixings in the drilled & counter sunk holes. Wipe away any glue squeezed out and install grit tape into nosings. Installation of bullnose type to carpet – mark hole locations. 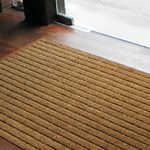 Use a sharp knife and cut an ‘x’ into the carpet, drill holes. Install grit tape into nosings.